God takes time to do His work! We like to rush things. God does not. One of the main areas where we as God's people fail is patience. The Lord has promised to bless us. We know that He wants to work in our lives. We believe that He is able, but we don't want to wait! We can rush people to get what we want, but we can't rush God. He works on His own divine schedule. Getting tired of waiting on God? Well you're in good company! Abraham, Joseph, Moses, and countless others in the Bible learned how to wait on God. It was in their waiting that they learned how to trust God for real. 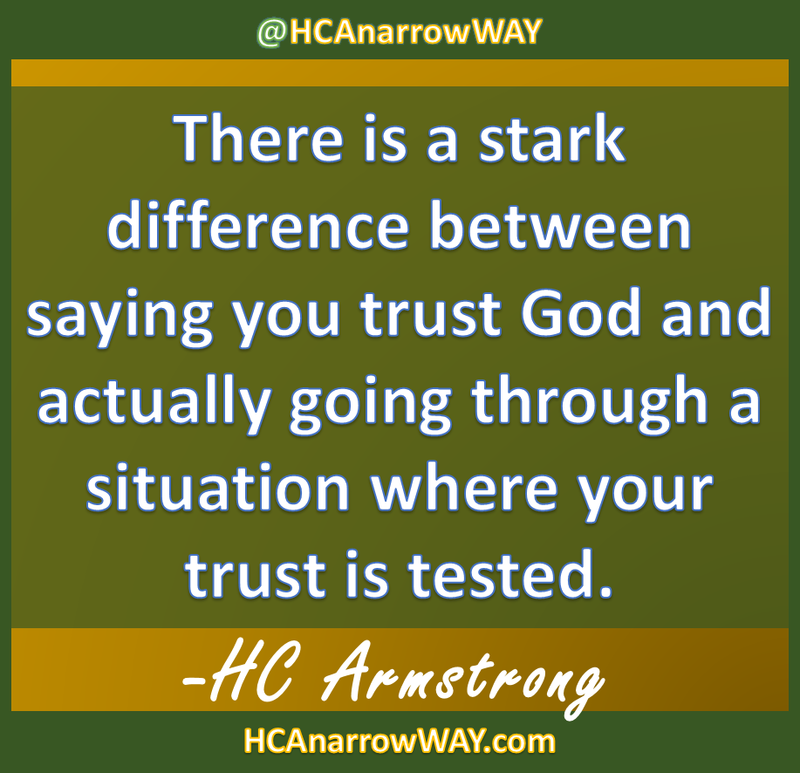 There is a stark difference between saying you trust God and actually going through a situation where your trust is tested. God hasn't forgotten about your situation. He is testing you. He is proving you. YOU CAN MAKE IT THROUGH!! !